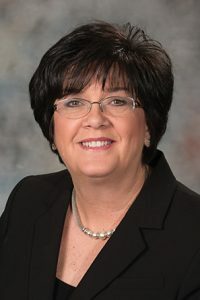 Thurston Sen. Joni Albrecht, sponsor of LB1040, said that an optional certificate has been available since 2008 in Nebraska for miscarriages that occur after 20 weeks of gestation. One in four women will experience a miscarriage, she said, and the vast majority occur prior to 20 weeks. The pain and loss can be severe, she said, no matter the length of gestation. The ability to commemorate the loss would help women and their families grieve, she said. “Every pregnancy loss is a tragedy that has a profound impact on women and entire families, yet most go unrecognized,” Albrecht said. As introduced, the bill would have required a health care practitioner who attends or diagnoses a nonviable birth to advise the patient that they can request a certificate of nonviable birth. The certificate would be issued by the state Department of Health and Human Services within 60 days of request. The commemorative certificate would not result in the registration of a live birth or be used to calculate live birth statistics. The certificate also could not be used in support of a civil action seeking damages for injury or wrongful death. A Health and Human Services Committee amendment, adopted 30-1, would allow a health care practitioner to delegate the duty to notify a patient of the ability to request a commemorative certificate. The amendment also would mandate that DHHS provide a form on the agency’s website that could be used to affirm a nonviable birth. Lincoln Sen. Suzanne Geist supported the bill and the amendment. She said that her miscarriage at 16 weeks of gestation was “devastating” and that a commemorative certificate could validate that grief for families who have had a similar experience. Omaha Sen. Ernie Chambers questioned why DHHS should be part of that grieving process. LB1040 advanced to select file 36-1.